We are publishing the eleventh issue of the magazine Drugs – Policies and Practices. This number is dedicated to drug consumption facilities. Drug consumption facilities save lives. It is a fact already established; no further proof is needed in its support. Or is there? Such an approach can certainly save lives in Macedonia as well. However, a proposal of this sort takes some courage. And so, we gathered the courage to open the discussion. 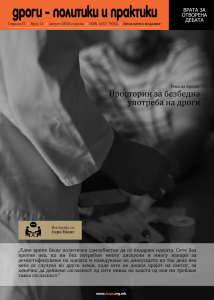 Of course, we are aware that certain people in Macedonia still believe needle exchange to encourage drug use, and on the other hand, here we are, talking about the opening of sites where people can freely and under the supervision of trained personnel use drugs. But we are not going to just sit on our hands and wait for “better days” to come. Rather than waiting, the founders of M.A.S.K.A rolled up their sleeves, as early as 1996, and opened the first harm reduction programme in Macedonia. Although M.A.S.K.A. no longer operates, today such programs have been established in 13 towns throughout Macedonia. The process was encumbered by obstacles, still is, but prevention of HIV spreading throughout the country would have been impossible if not for the harm reduction programmes. HIV protection is just one of the benefits these programmes have to offer. They save lives. More so, harm reduction programmes contribute to the entire social wellbeing. We shall remain silent no more. 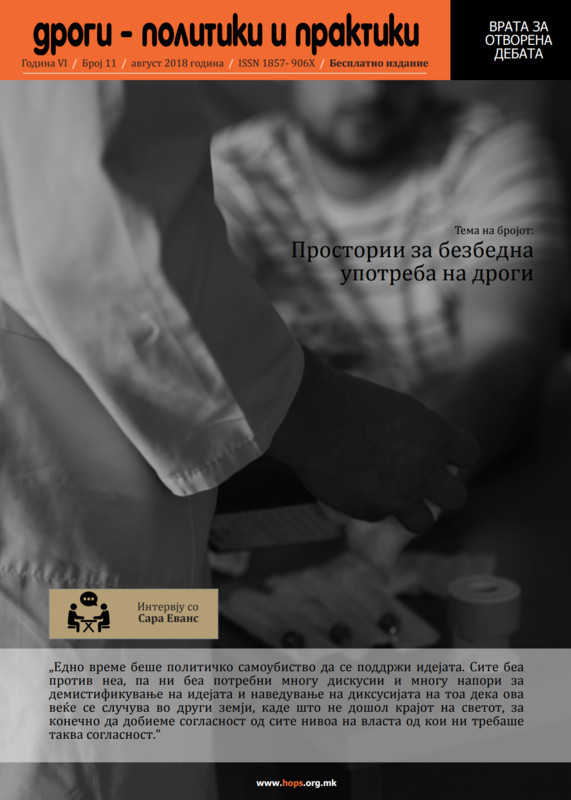 It is high time to jump on the right track and, more than thirty years since the opening of the first world drug consumption facility, discuss the possibility for opening such facilities in Macedonia. For the common good.